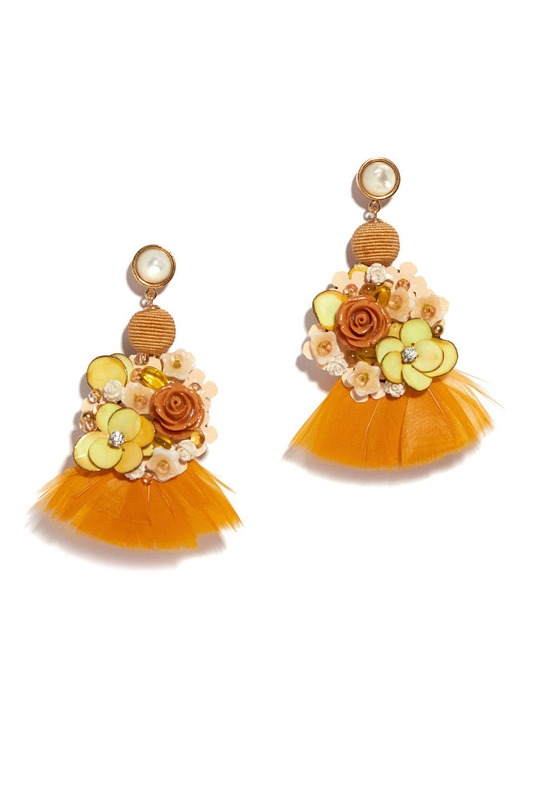 Floral-embellished plumes lend an eclectic and elegant look to these statement drop earrings by Lizzie Fortunato. 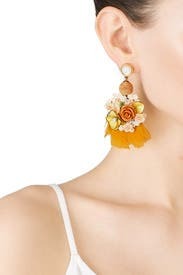 Hand sewn statement earrings with mother of pearl top stud, coil beads and marigold feather fringe accents. Post backs for pierced ears. 3.25" long. These were too dramatic and oversized for me. I felt like they didn't look very well made. They were also a bit more mustard-colored than I was expecting. They're definitely large and statement but I loved them! Big earrings, not too heavy but also not super light. I was okay wearing them all day/night though! When my first choice didn't arrive in time I was given the option to choose two ratings and this was the second pair. Cute but never wore them.